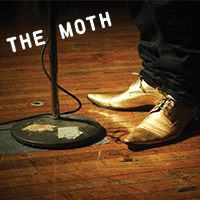 The Moth, America’s favorite storytelling show, is back! The Moth Mainstage tour brings favorite storytellers from past Moth shows to share the stage with voices from our local Portland community. However, we have reserved 10 seats as incentives for donations made through the Willamette Week’s Give!Guide. Donate $150 or more by December 7 for a chance to win a pair of tickets to this event. Click here for more information.